Why buy books when you can get them from the library? It’s a question I get often, since I tend to buy our books for homeschool rather than check them out from the library. But it wasn’t always like that. I used to check them out from the library in the past, too. Why the change? And is it right for you? In case you don’t know, we homeschool in California through a charter school. Each year we are allocated funding to buy educational supplies or take academic classes. I started buying our homeschool books rather than checking them out from the library when it became increasingly difficult to source all the books I wanted. Not to mention, I couldn’t guarantee I would get all the books in time for our units and main lesson blocks. Then there would be some we wanted to keep longer than the check out period and overall these challenges caused a lot of stress. So, I decided to change all that. I started buying the books we wanted to use for our units, even if we only used them once (though really we’ve used these books multiple times). I found that I could find a wider variety of books from book sellers online than at my local library, even with transfers. Aside from the ease, there’s one more major reason why we buy our books rather than check them out. I love having the opportunity to support these authors, publishers and illustrators. The books I buy are not best sellers, but we need them to be available, and we want more! 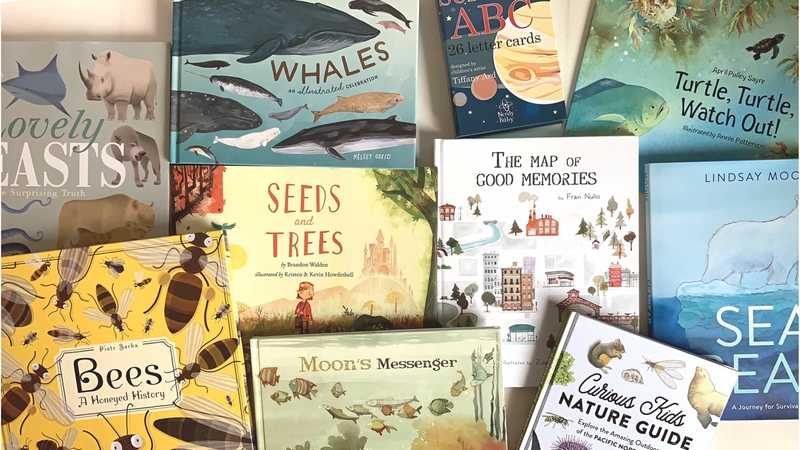 By my small efforts to support and share them, I hope we keep on getting amazing, beautiful and inspiring books to use in our homeschool. The books today are from Amazon. We bought Bees, A Honeyed History, Sea Bear, Whales, and Illustrated Celebration, Lovely Beasts, and many more. We plan to use these books for our spring units. While we’ve already done one on Bees and Honey, Botany and Butterflies, if we do anymore lessons in those units, we’ll add the lessons to the video playlist. If you want to know who inspired part of this book haul, head over to Lacy Arrowsmith’s instagram!